With only one third of in-store purchases being pre-planned, product placement is crucial in enticing shoppers to buy. But you’ll need the right data in order to determine a product’s optimum positioning. With millions of dollars of potential sales at stake, it’s something CPGs will want to look at long and hard. In an ideal world, everyone would make a shopping list before they go to the store and stick to it rigidly, only buying what they need. But the real world doesn’t work like that. With two-thirds of purchasing decisions made in-store, there’s a huge opportunity for CPGs to get their brands in front of shoppers’ eyeballs — buyers are hugely influenced by their environment, namely which products they see and how prominently they’re displayed. Product placement isn’t just guesswork; using scientific evidence, CPGs and retail stores can see where shoppers look and even which patterns their gazes follow, in order to find the optimum position for products and so drive sales. For example, much of today’s product placement is based on research that says shoppers start looking at the shelf at eye level, work from left to right, and make their purchasing decision in fewer than eight seconds. Based on this, retailers and CPGs can come up with a planogram, which is defined as a “model or diagram that indicates the placement of retail products on shelves to maximize their sales”. There are currently five main placement strategies for different brand categories. Block Placement sees related items placed together, while Vertical Placement has merchandise being placed on more than one shelf level. Commercial Placement involves items with a higher perceived value being more prominently displayed, and Margin Product Placement dictates that the more profit an item generates for the retailer, the better position it will receive. Finally, Market Share Placement is when the highest revenue generators are placed where customers can easily find them. To know which strategy is right for which product, you’ll need a reliable system of insight that compares on-shelf SKU location and product sales. Previously, such granular data was hard to come by. But not anymore. Image recognition technology is enabling real-time shelf analytics, revealing exactly what happens between stores’ back rooms and the cash counters. By juxtaposing this with EPOS data, CPGs and retailers can surface hidden opportunities to drive sales and unlock growth. A leading coffee manufacturer in the UK leveraged data science to see how increasing facings on optimal shelf positions would affect sales. They found that shelf four had a 23 per cent greater potential to increase sales compared to shelves three or five, despite all three shelves being around eye level. Items suffered a 25 per cent fall in sales when continually placed on shelf two. The outcome? The client was able to gain a better return on space, as they could ascertain the ROI of eye-level shelf space investments by comparing costs with sales uplifts. It also opened up a more meaningful dialogue with the retailer. A top manufacturer of salty snacks in Australia saw similar success. They were able to quantify hot and cold spots on the shelf, and used these to ascertain which SKUs should occupy prime positioning. They identified a potential sales opportunity of $52m each year, if shelf location was optimized for all SKUs. This would translate to an increase of 25.7 per cent in net sales per store — a huge increase that would repay the investment many times over. How your products are situated in the store plays a crucial role in how they sell. It’s up to you whether you give the most prominent positions to the most profitable products to keep their sales volumes high, or to slow-selling items in the hope they’ll get a sales boost. But before you make any decisions, you should justify them with hard data showing how much money is at stake. Chances are, it’ll make you think twice. Download the Retail Compass whitepaper here. 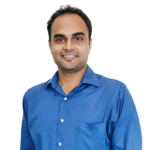 Manu is a technology marketing professional currently leading Content Marketing at Trax. When he's not hacking inbound and building content that lasts, he is usually in a park reading a book.